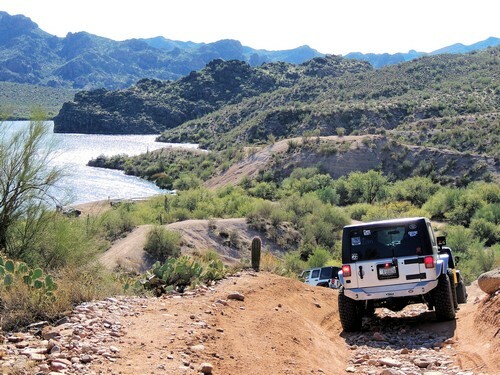 This is an enjoyable Jeep tail along Saguaro Lake in an area frequented by the Salt River Wild Horses. 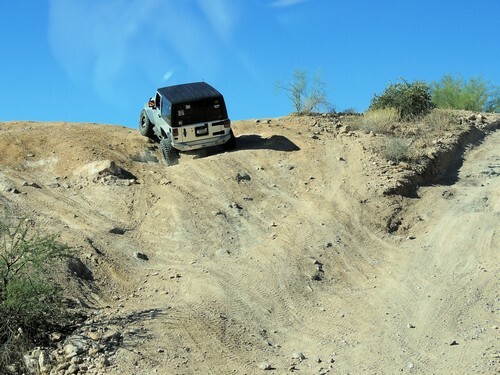 The entire trip is within the Rolls OHV Area, but it avoids the trails more suited for quads and side-by-sides. 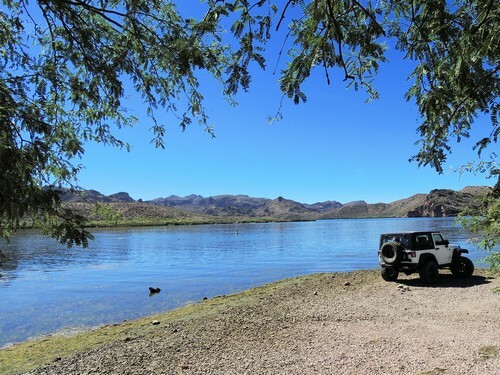 Visit four locations along Saguaro Lake, enjoy majestic vistas, challenge yourself and your Jeep at several "playgrounds" and even get up close and personal with wild horses if you are lucky. There are several loose climbs along the trail, and in the playgrounds. Some vehicles will need limited slip or lockers. 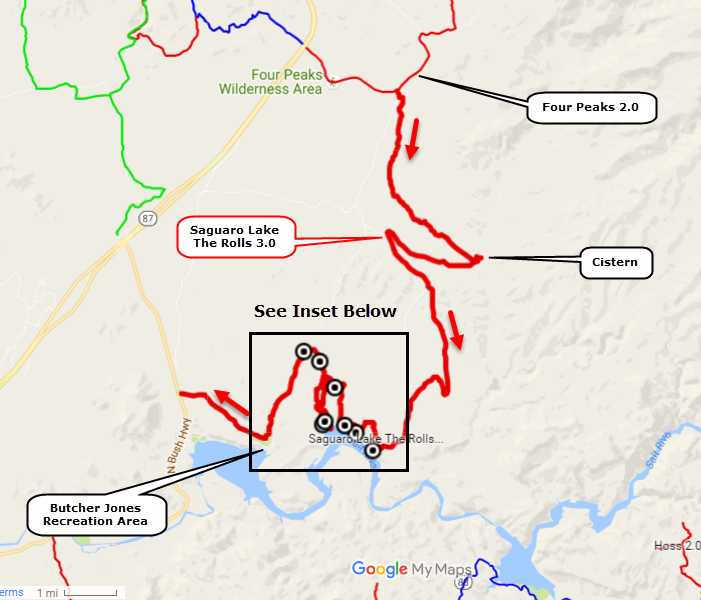 This trail can be driven in either direction but is much more scenic if done from north to south, as indicated by arrows on the maps. 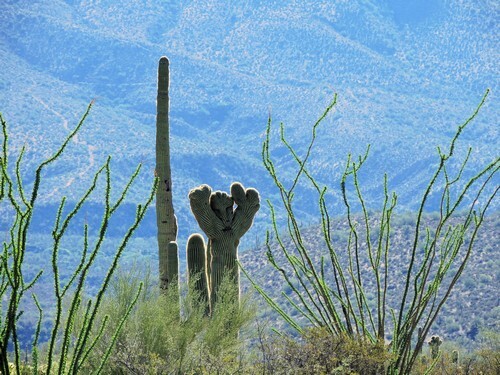 ​Less than a mile after you leave the Four Peaks Road there is a semi crested saguaro on the left. Fairly unusual. 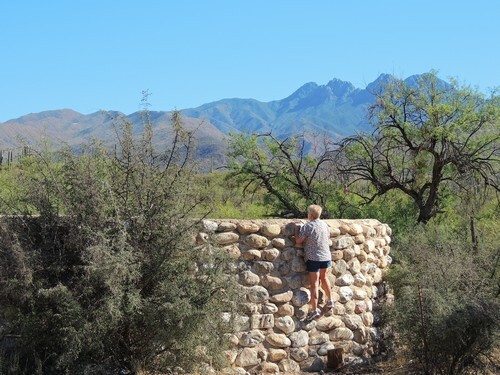 The road you start out on is Forest Service Road 401, which penetrates for several miles into Four Peaks Wilderness. This trip does not enter the Wilderness. 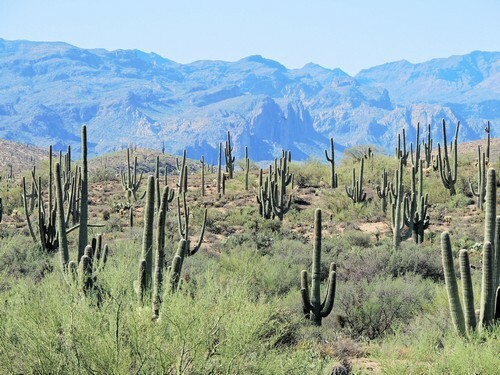 The upper part of this run must have soil that is especially good for saguaros - they are abundant. Road 401 drops about 800' in elevation from Four Peaks Road down to Cottonwood Creek (unique name, don't ya think?). You will find a huge cistern at Cottonwood Creek. 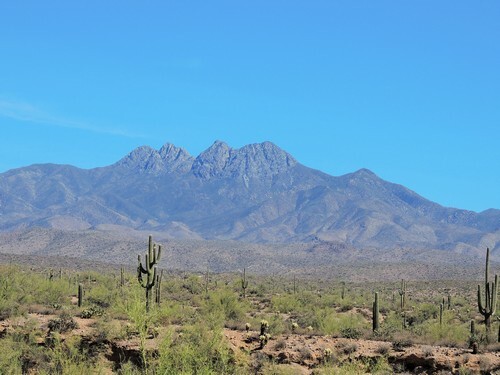 Enjoy the beauty of Four Peaks for your entire day. 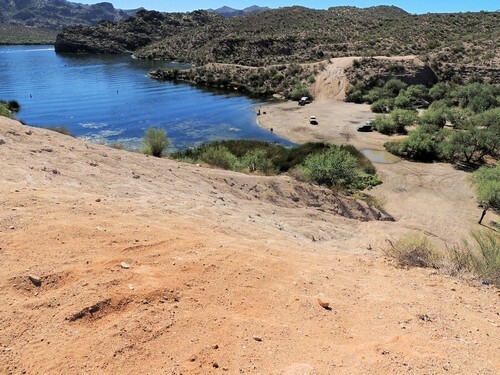 The first time you come to Saguaro Lake you can drive to the shore of a tiny cove then climb to a higher ledge with a great spot to take a break and look around. 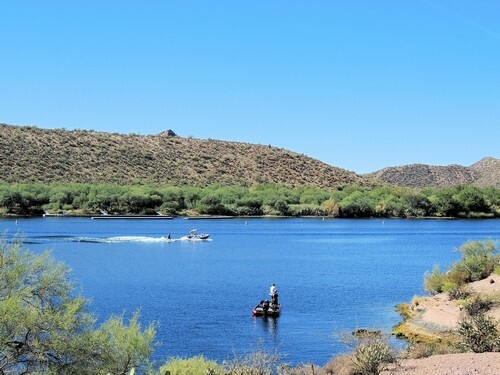 The docks on the opposite shore are for Bagley Flat Campground, accessible only by boat. 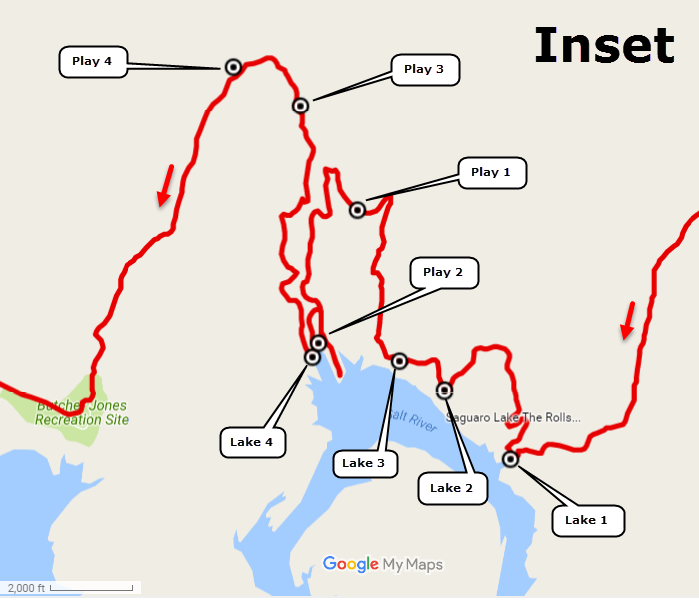 ​The second lake access is a chance to drive right out on a beach. You may find campers here on a weekend. 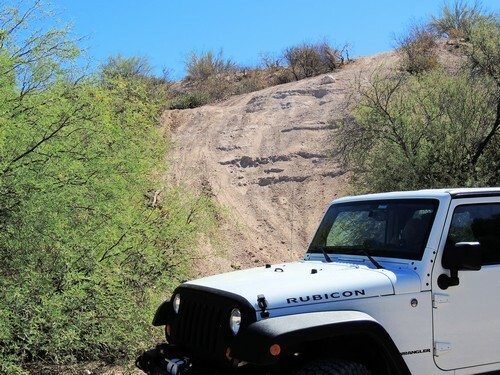 This trail is about scenery, but it is also about being an up and down Jeep trail. 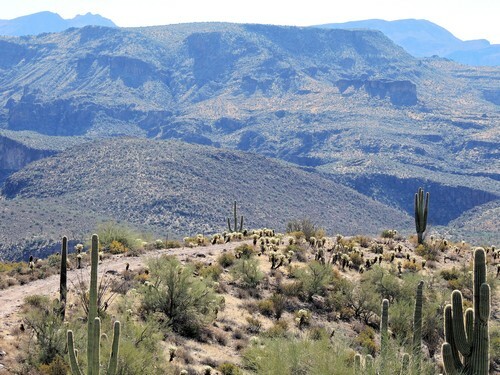 The hills are what give the trail a 3.0 rating. There are also a number of playgrounds as you pass through "The Rolls". These are optional and you can gain Extra Credits to your heart's content. 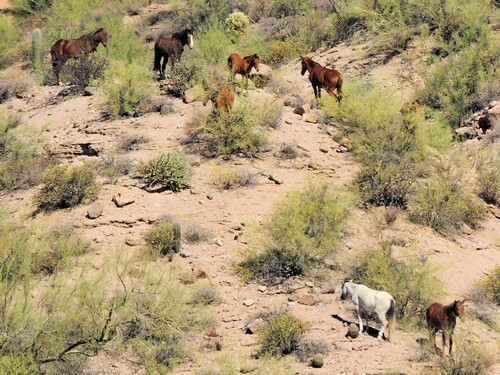 This trail is also about the Salt River Wild Horses, but of course you cannot be sure of seeing them. They do not seem to be on a predictable circuit of the area. The horses are not afraid of people, and we were able to get very close to them. 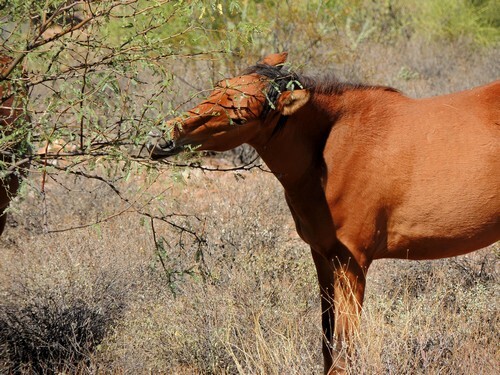 ​They were eating from mesquite trees when we saw them in October. 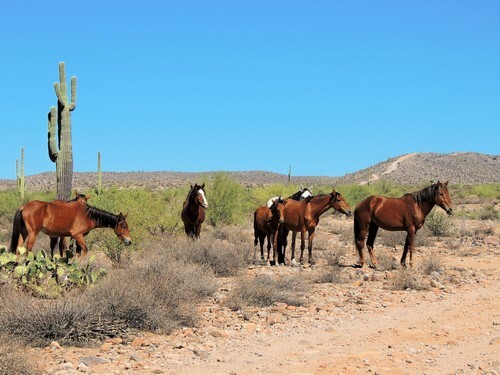 Seven horses in this band. Exit via the Butcher Jones Recreation Area. 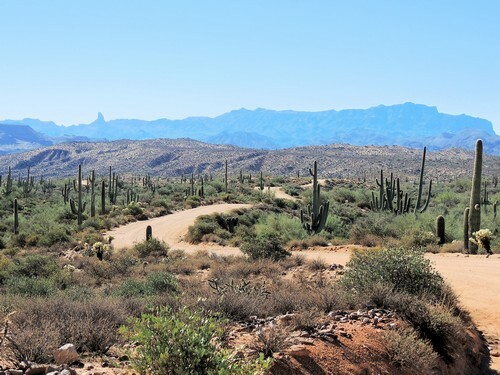 The Tonto National Forest requires you to buy a Tonto Pass to actually use any of their recreation sites, but it is not necessary if you are just passing through and do not stop.